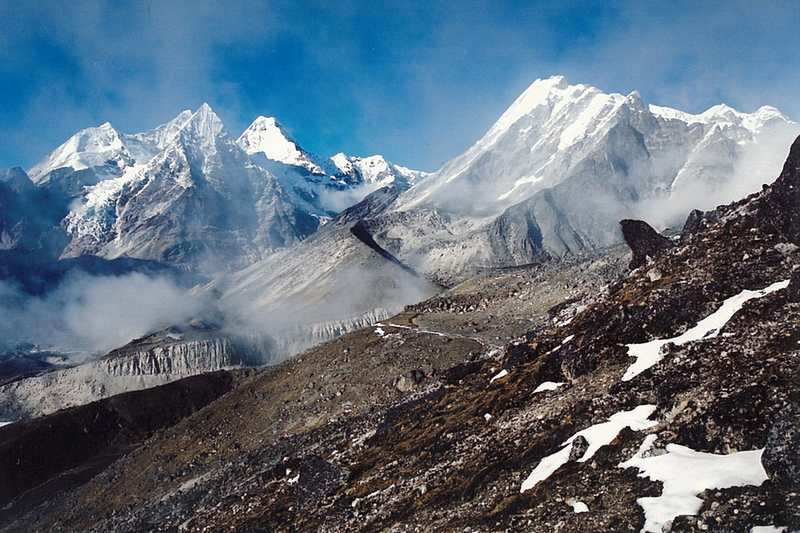 Mera Peak, 6,654m, is one of the most popular trekking peaks in Nepal, partially because it’s relatively easy, partially because of its stunning views and partially because of the fabulous trek to get there. 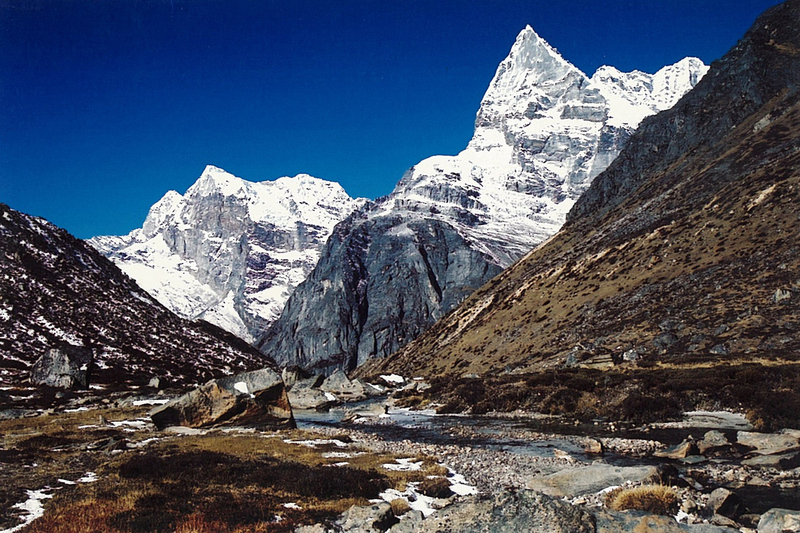 The trek winds from the Lower Khumbu Valley up a steep ascent to cross into the remote and uninhabited upper part of the Hinku Valley. 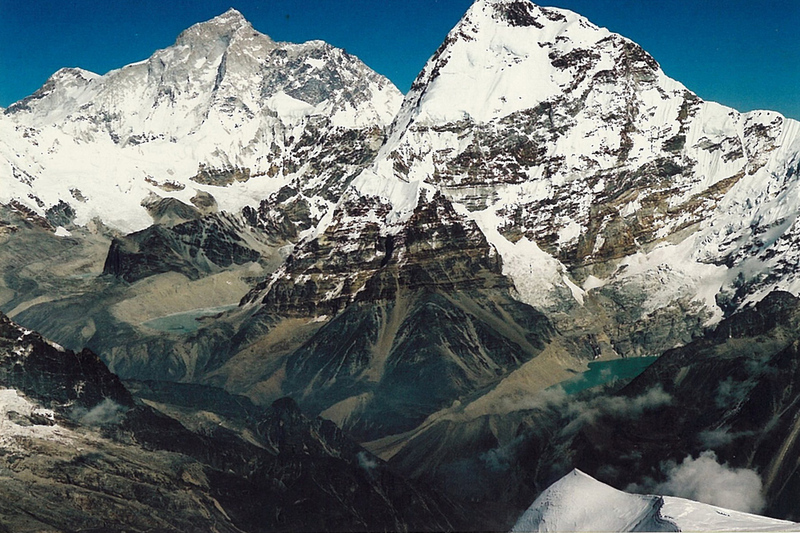 From here the trek turns north through dense forests of juniper, bamboo, pine and rhododendrons toward Mera Peak. 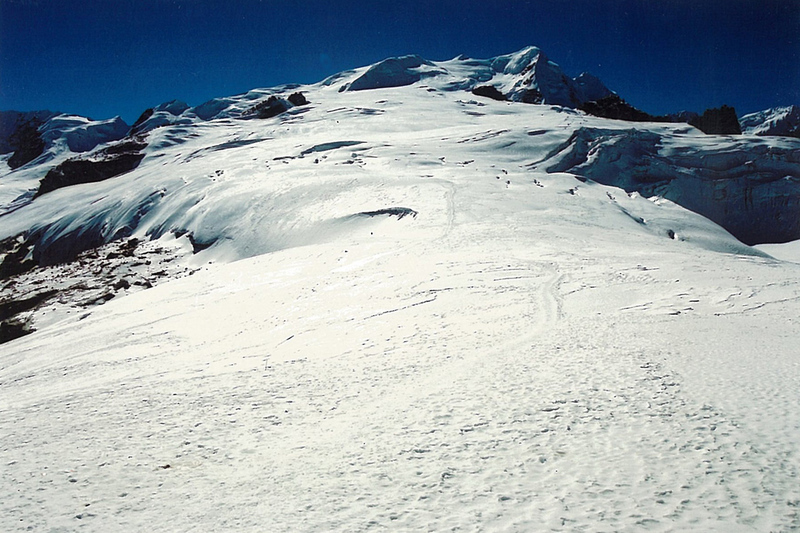 The ascent of the peak is technically easy, though due to a maze of crevasses on the glacier, it has recently been regraded from ‘facile’ to ‘peu difficile’. 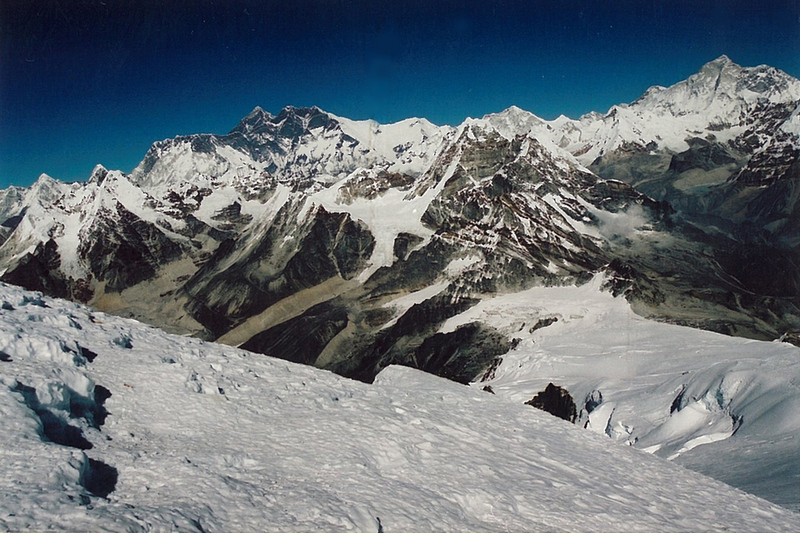 From either Mera North or Mera Central the summit view is one of the finest in the Himalayas with five 8,000m peaks visible; Everest, Lhotse, Cho Oyu, Makalu and Kanchenjunga. 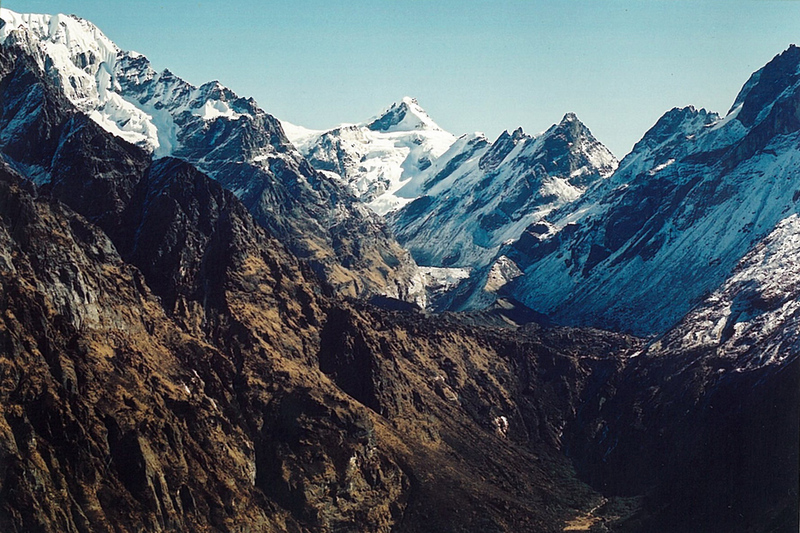 That’s 5 of the 6 highest peaks in the world! 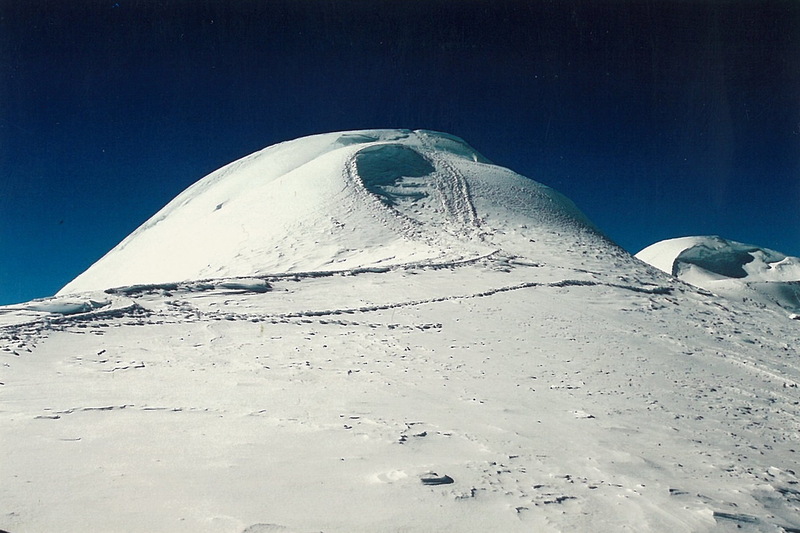 Mera Peak requires a camping expedition and is best done in October or until mid-November, but can be done in March or April, though the weather is less reliable. 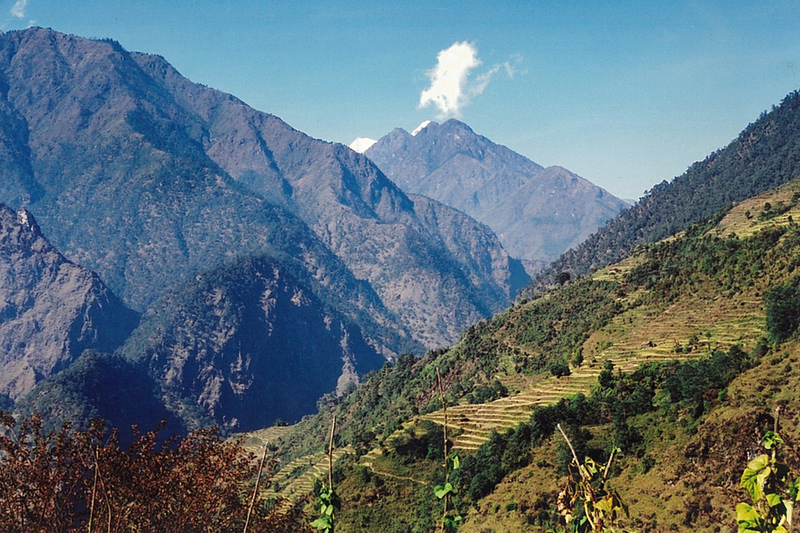 Away from the standard trekking route from Lukla I’ve described a much better trek into the Hinku Valley from Phaplu. 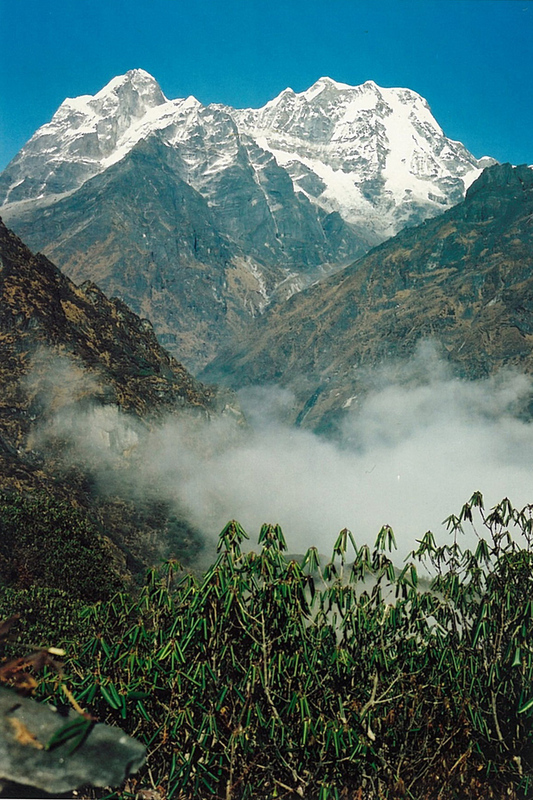 Alternatively we could fly to Lukla and spend 4 days hiking down the Lower Khumbu Valley and up to the high pass at Tule Kharka. 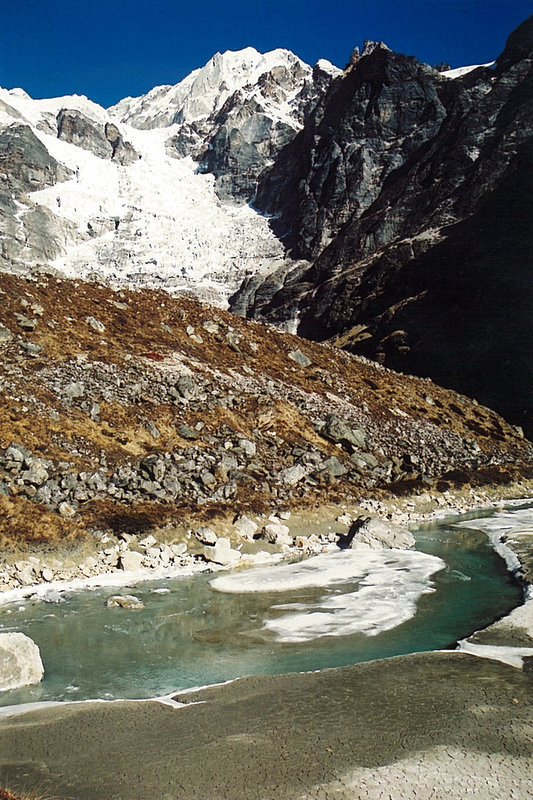 We could also get a bus (12-14 hours) (or private transport) to Shivalaya and trek in to Khari Khola in 5 days. 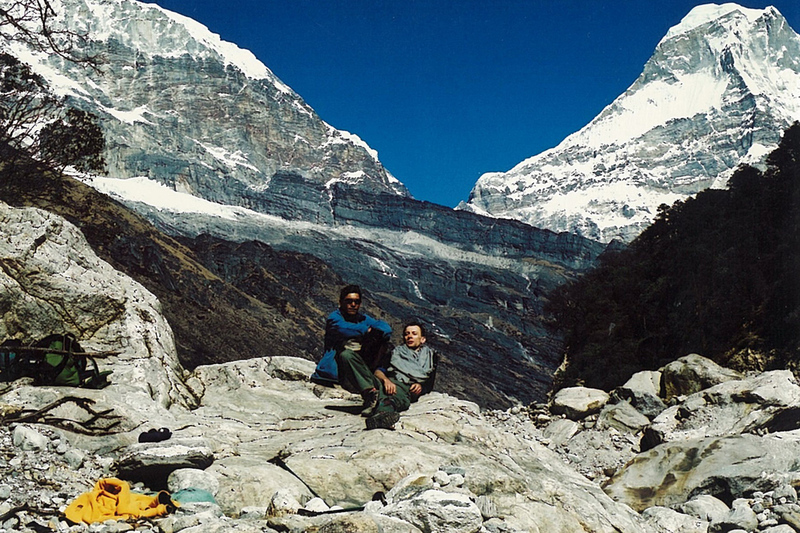 Day 1 Kathmandu flight to Phaplu (2,410m) and trek to Ringmo (2,720m) Your trekking guide will come to your hotel and, after breakfast, we fly to Phaplu. We start our trek with a lovely hike through a valley toward the small and delightful Sherpa village of Ringmo, where apple, peach and apricot orchards abound. Here we stop and can check out the local fruit juices (alcoholic or non-alcoholic). (30 minute flight and 6 hour trek). Day 2 Ringmo to Khari Khola (2,000m) The trek ascends and descends through pine, and rhododendron forest past stupas (Buddhist religious monuments), through the stunning Trakshindu La (pass), past a gompa (monastery), through the village and fields of Timbu and on to Nunthala. 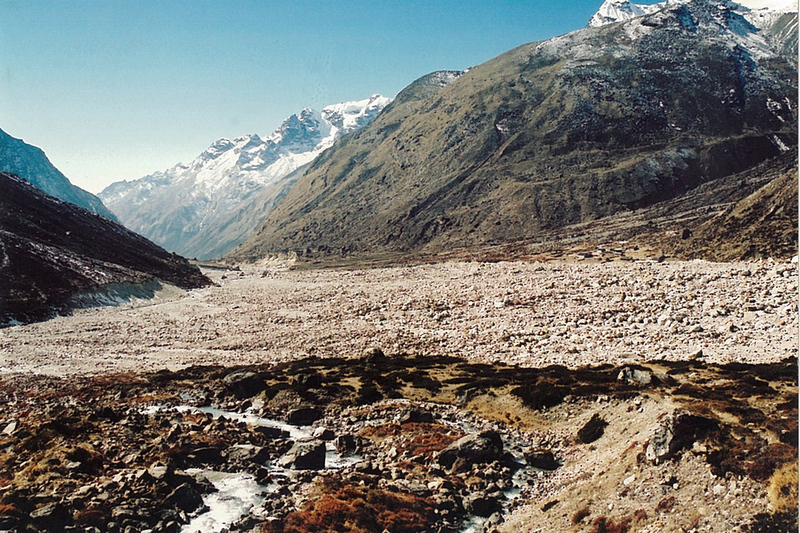 From here we hike through a Rai area (you can’t miss the heavy jewellery worn by the women), cross the Dudhi Kosi (river) and eventually trek into the village of Khari Khola (river). (6 hour trek). Day 3 Khari Khola to Pangum (2,850m) We trek east (right) along a tiny barely noticeable track and hike up a valley to the tiny village of Pangum. On the way is a wonderful and active little gompa, please keep quiet if you visit, especially if the monks are at prayer. (4 hour trek). Day 4 Either a Rest Day or Pangum to Small Farming Terrace We wake up to superb views back across the Lower Khumbu Valley with Shorong Himal (6,959m) prominent. If, weather and snow permitting, it’s possible and if you’re fit and up for it, we can do the long, arduous, but brilliant, trek between the high points along the skyline from Pangum to Thuli Kharka (pasture), but we must acclimatize at Pangum for a day beforehand. 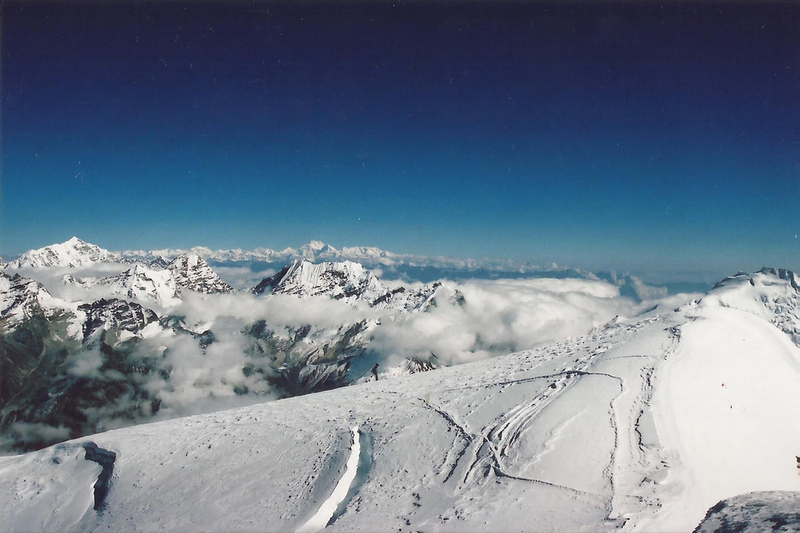 If the snow is too deep for the skyline trek we hike the small ascent to Pangum La (pass), 3,173m, and trek down through rhododendron to a small collection of tea-houses and the Sherpa village of Sibuje. 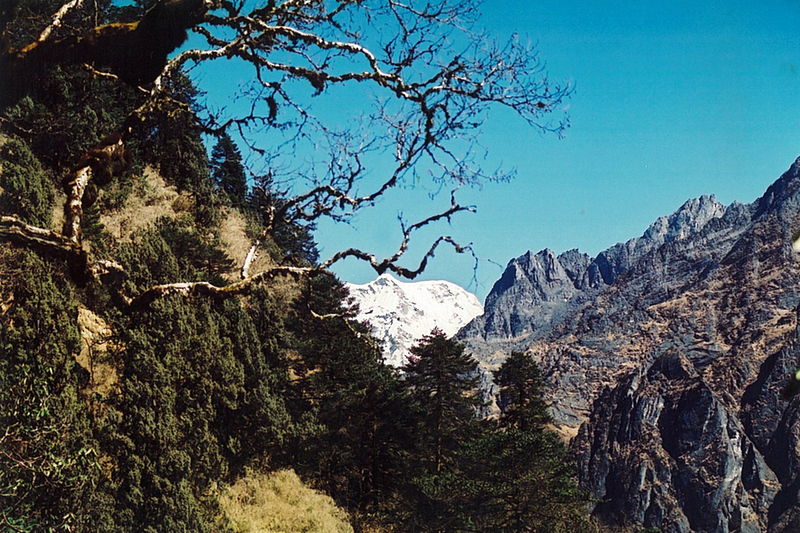 From here we hike north entering dense mixed forest gradually trekking toward the floor of the Hinku Valley. We camp in a small farming terrace. (Rest Day or 5 hour trek). 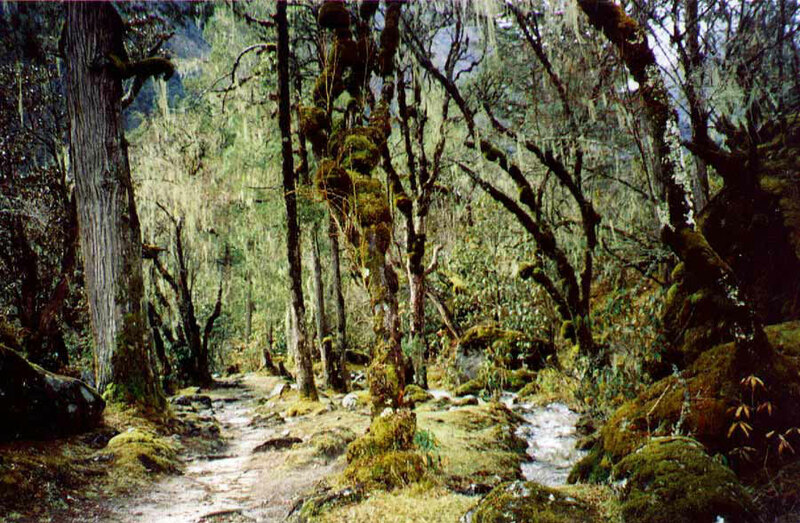 Day 6 Thuli Kharka or Shaded Forest Clearing to Kote (3,600m) Route 1; we trek down through fabulous forests into the Hinku Valley. Route 2; we trek through fabulous forest along the valley. 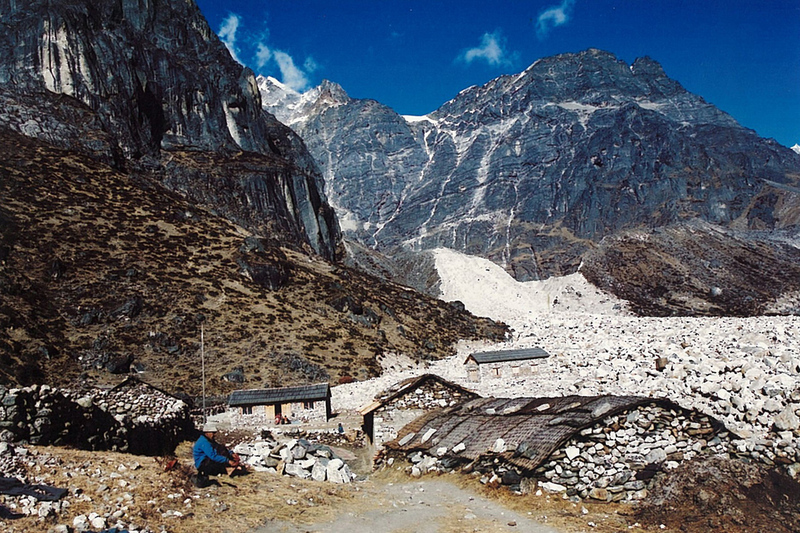 The two different treks will merge at a small group of huts at Takthok. After a further hour we trek down to the river which we hike along for a while before trekking up again into the forest. We again hike down to a camp-site and some seasonal tea-houses at Kote, which sits next to the boulder-strewn bed of the Hinku Khola. (5 hour trek either route). Day 7 Kote to Tangnag (4,350m) Today we trek along the valley floor as the terrain changes to scattered rocks and scrub, soon we can see Kyashar (6,770m) at the head of the valley and, to the left, the twin summits of Kusum Kanguru (6,367m). 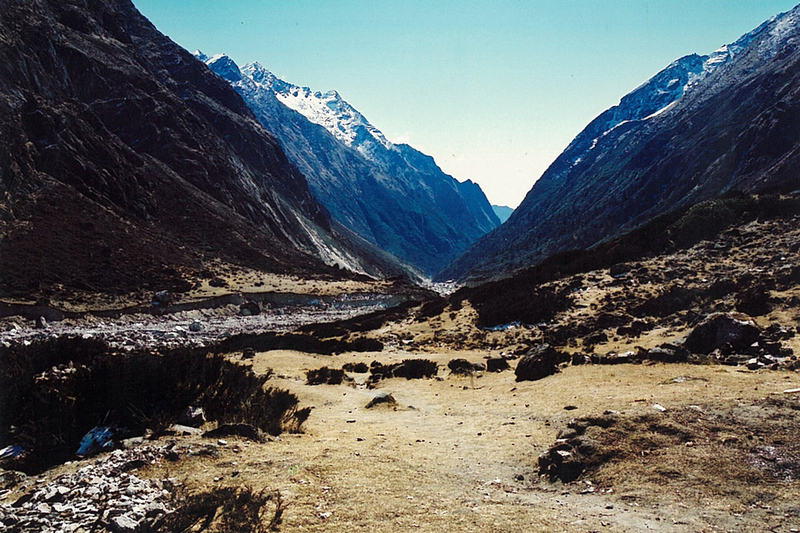 We continue to hike up valley following the river to Tangnag. (5-6 hour trek). Day 8 Rest Day at Tangnag We should acclimatize here for a day, if you’ve got the energy we could trek onto the flanks of Kusum Kanguru for some fine views. Day 9 Tangnag to Khare (4,900m) We trek up for about an hour on a rocky path before an easier riverside hike brings us to Dig Kharka (meadow) (4,659m). Now the views are getting stunning. We trek on to Khare. (4 hour trek). Day 10 Khare via Mera La to Base Camp (5,300m) We trek the moraine to the tip of the glacier, hike up a steep stretch with our guides in attendance, our crampons on and possibly with the aid of a rope, before the glacier gradually levels out at Mera La. We camp on a sheltered terrace just below the la. (5 hour trek). Day 11 Base Camp to High Camp (5,800m) Today is a hard trek, the air is getting thinner and we need regular rests on our walking sticks. 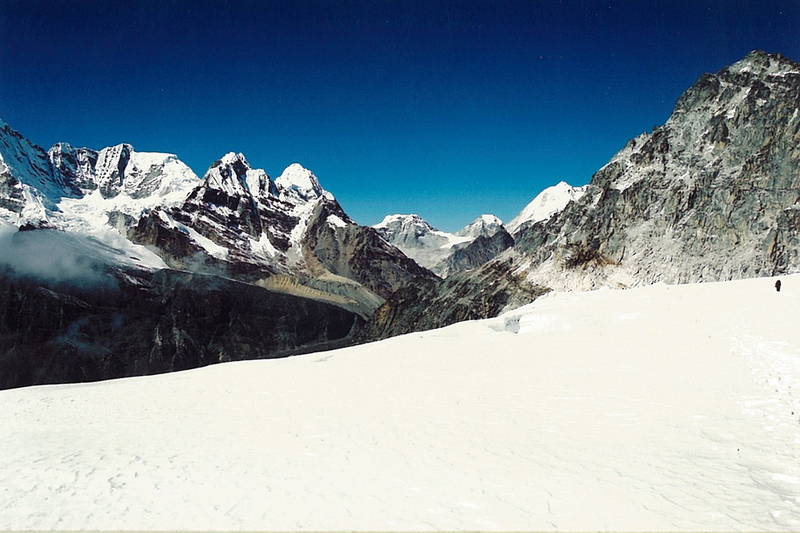 We camp in a sheltered spot and admire the fabulous views of Cho Oyu, Ama Dablam, Nuptse, Lhotse, Baruntse, Makalu, far-off Kanchenjunga, Chamlang and, of course, Everest, which looks so very, very close from here. (4 hour trek). Day 12 High Camp to Khare via Mera Peak (6,476) We wake very early at 2am to be ready to depart at 3am. We struggle to get our boots on, force some hot noodle soup down and set off, gasping for air, to one of the greatest view-points in the world. The climb is gentle, even if the lack of oxygen makes it seem far harder, until we reach the final mound – this is hill-walking at altitude with attitude! 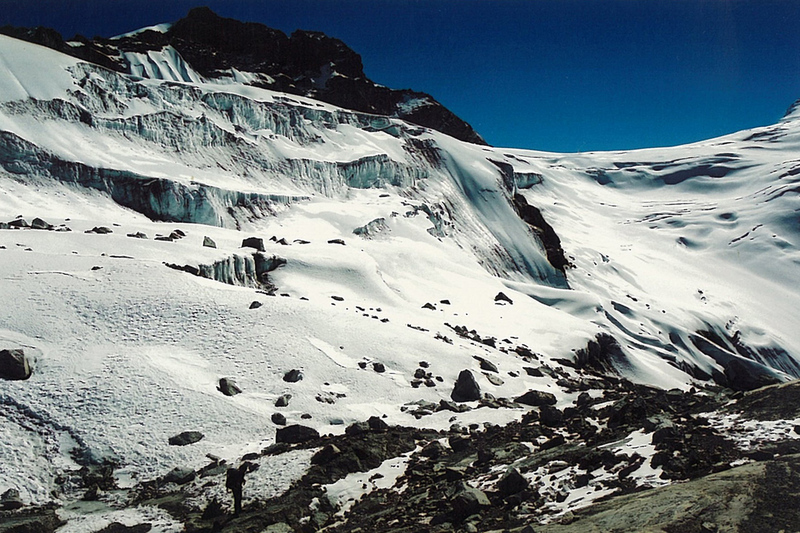 Depending on the state of the crevasses, your guide will know, either Mera North or Mera Central will be summited. 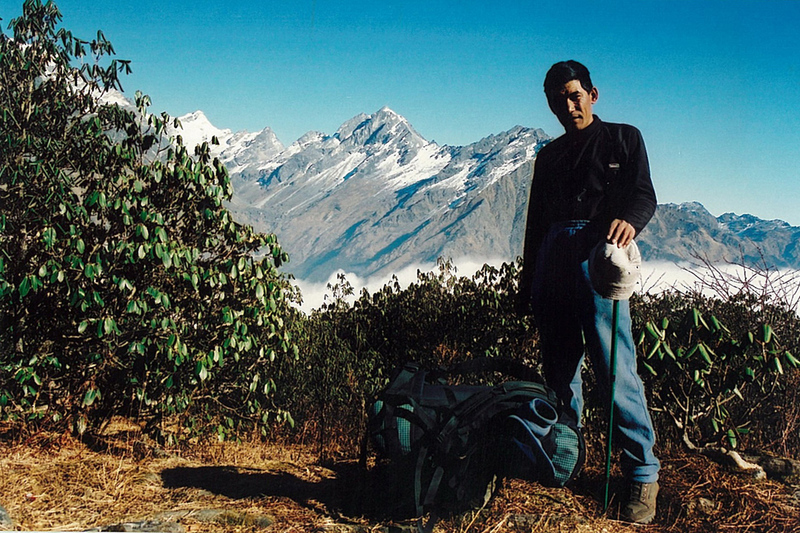 (10 hour trek). 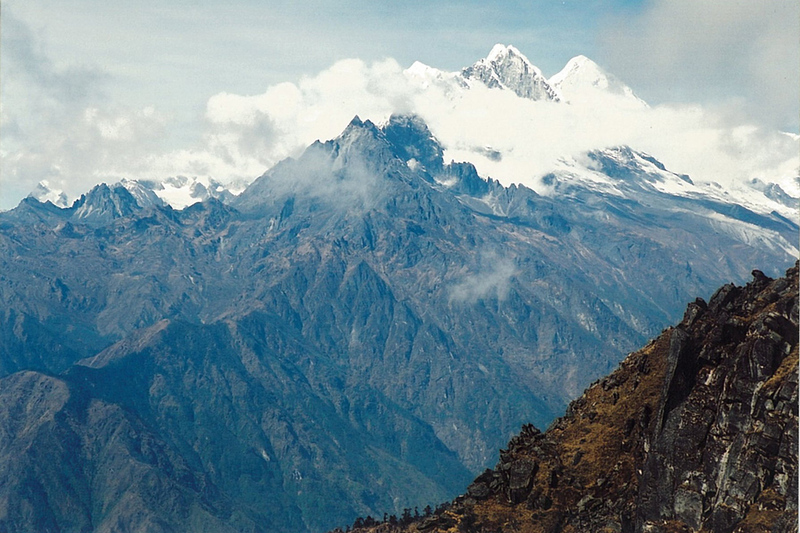 Day 14 Khare to Kote (3,600m) We trek back down the valley. (6 hour trek). Day 15 Kote to Thuli Kharka (4,200m) From Takthok we begin the steep trek up through gorgeous forest to Thuli Kharka, just above the tree-line. This is a beautiful hike. (6 hour trek). Day 16 Thuli Kharka to Lukla (2,804m) After breakfast we make the final bit of the hike up to Chhatara La before making the precipitous trek down into the Khumbu Valley and hike toward the last stop on our trek, Lukla. Here it’s time to chill out, pig out and remember the trek’s highlights. 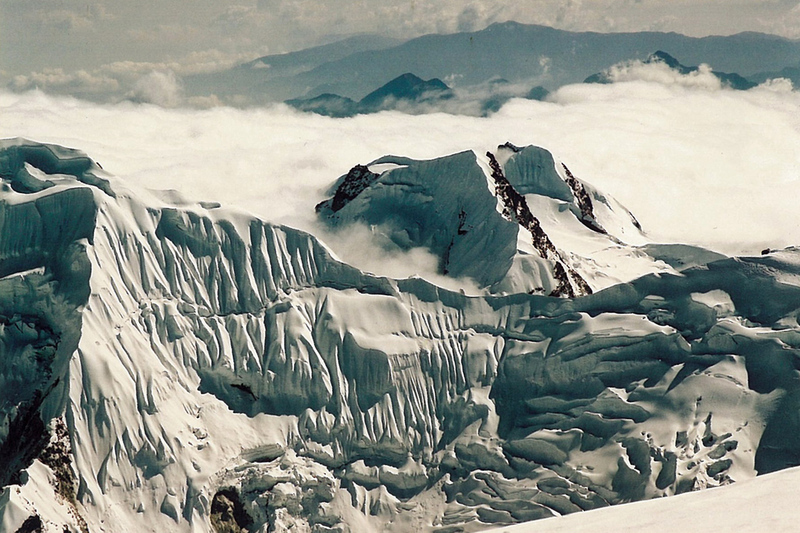 Does all that hard breathing on Mera Peak seem like 3 days ago or in another lifetime? (7 hour trek). Day 17 Morning flight to Kathmandu A hair-raising take-off down the runway commences the return flight to Kathmandu. Don’t worry though, it’s not true that the planes take off and glide before starting the engines! And that’s it for this year’s adventure… we hope you had a great trek and look forward to trekking with you again on your return to Nepal. 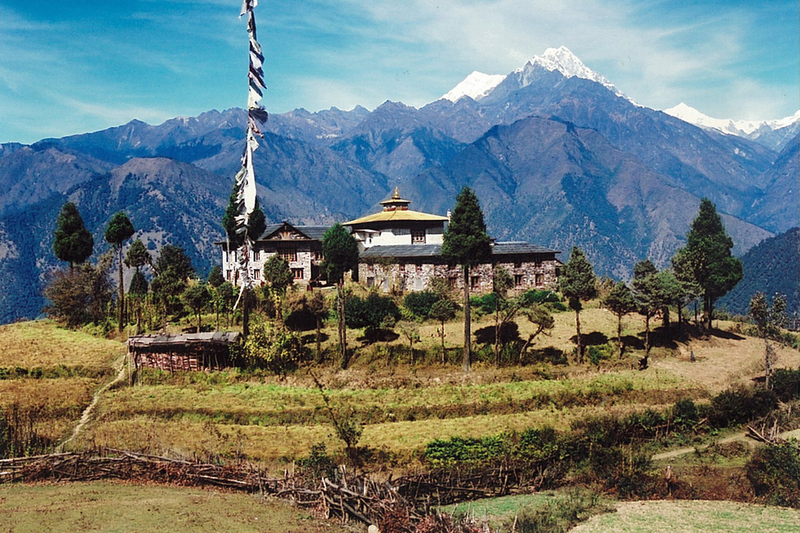 Price US$ 2,300 per person for 2 people or US$ 2,150 per person for 4 or more plus accommodation in Kathmandu. Price includes Airport pick-ups and drop-offs. All inclusive trek costs; camping equipment and/or accommodation in twin bed rooms, breakfast, lunch, dinner, trekking and park permit fees, climbing equipment, guide and necessary porters and all their costs such as transportation, accommodation, food, equipment, insurance etc. 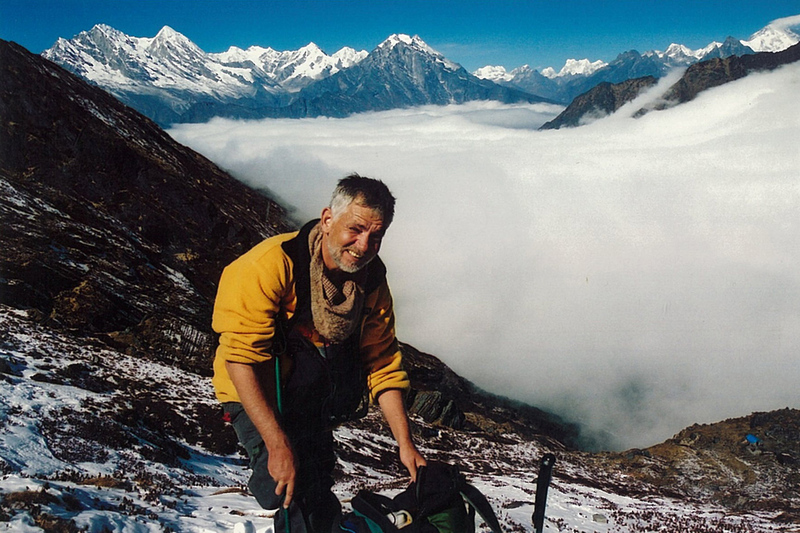 The flights from Kathmandu-Lukla-Kathmandu.